Indiana Jones. "In an ancient conquistador's tomb, Indiana Jones & Mutt Willians uncover a clue to the secret of the Crystal Skull, only to be ambushed by a trio of skull-faced warriors, intent on protecting the Lost Temple of Akator, the warriors battle with poison darts, aiming to make Indy & Mutt permanent residents of the ancient cemetary. 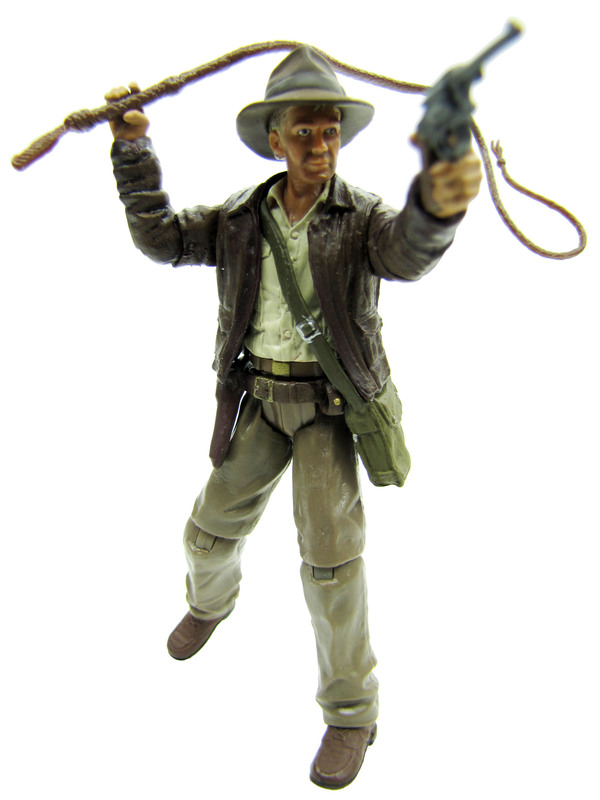 Indiana Jones comes withHat, Whip, Crystal Skull, Saddle Bag & Jacket.